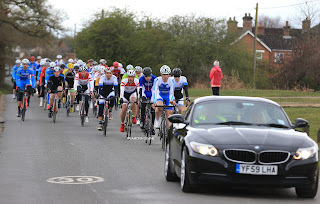 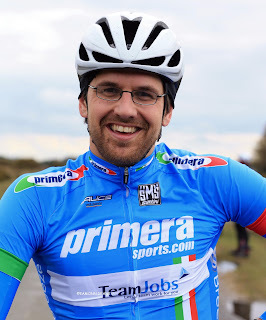 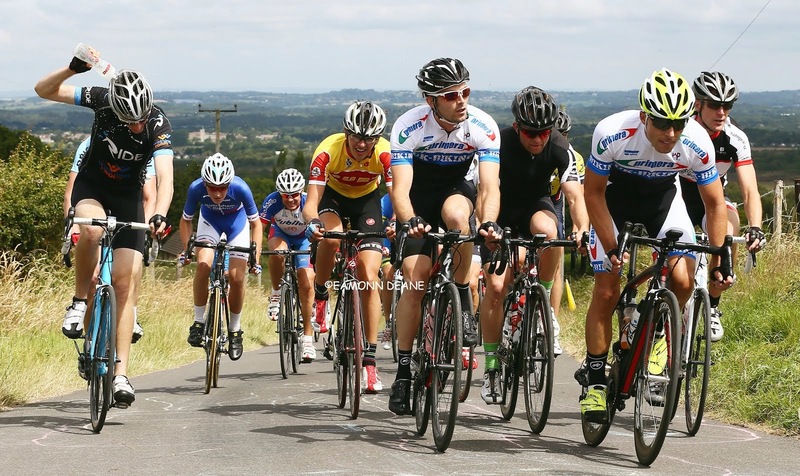 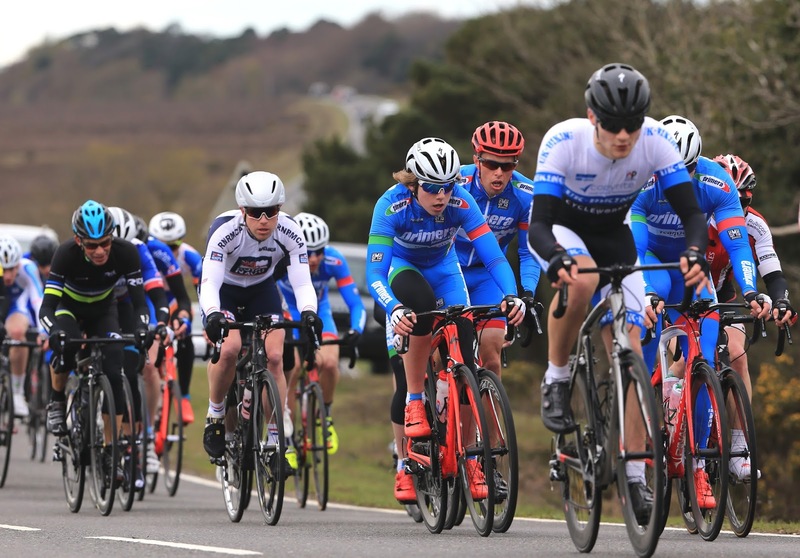 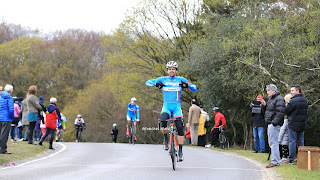 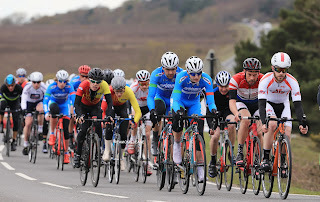 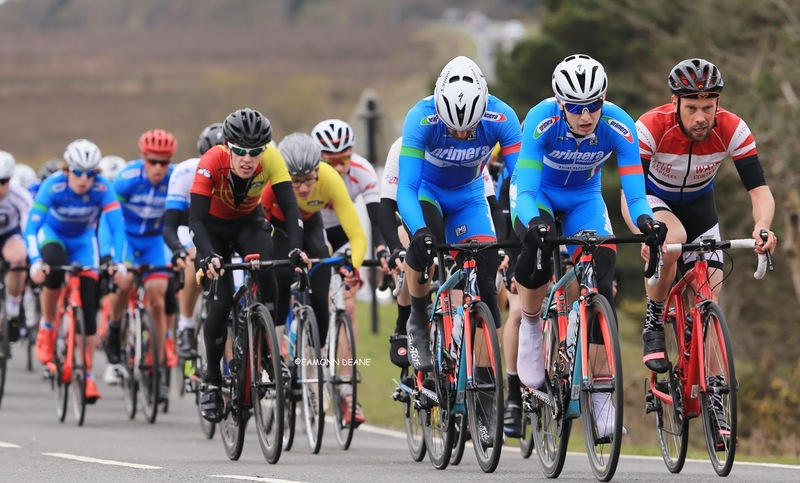 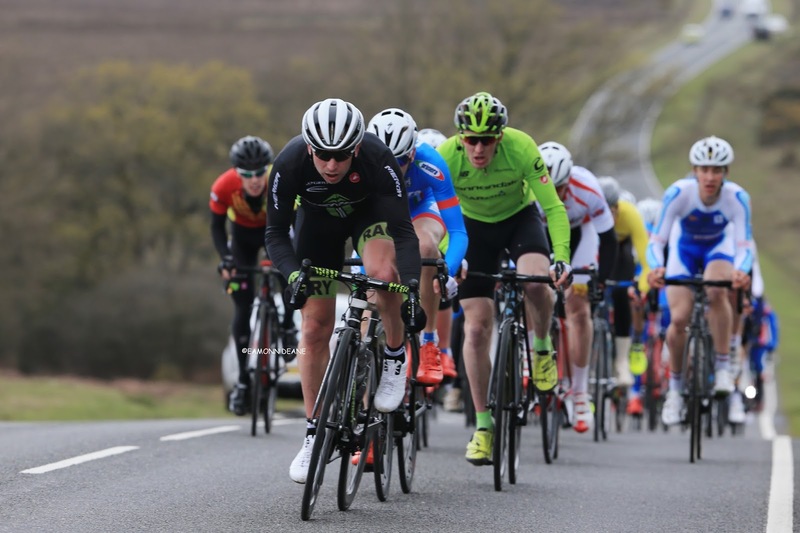 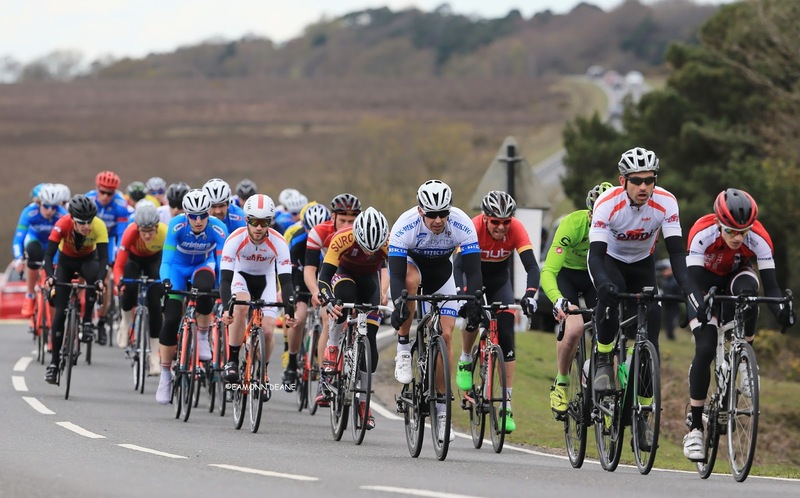 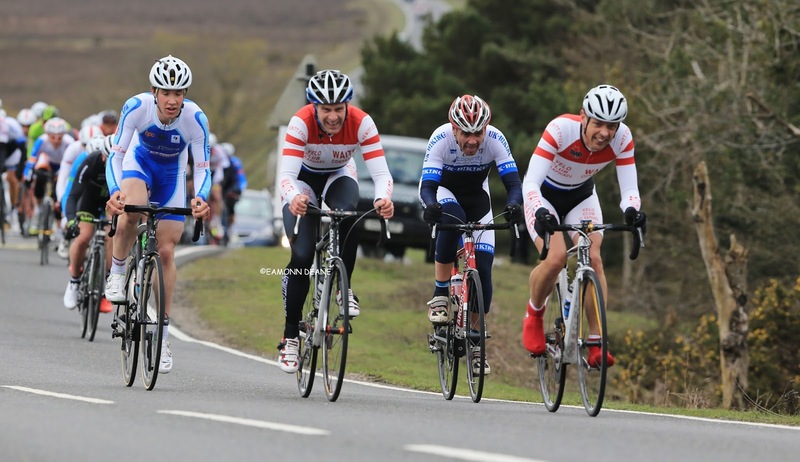 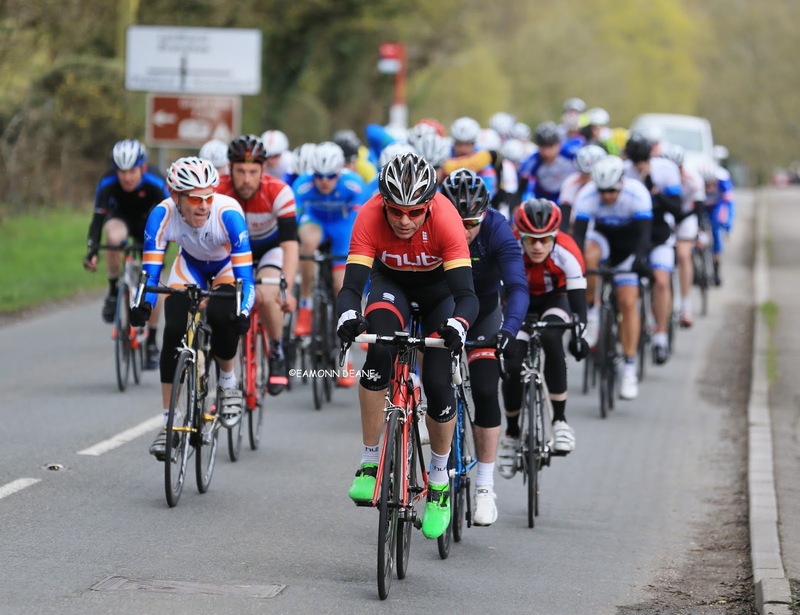 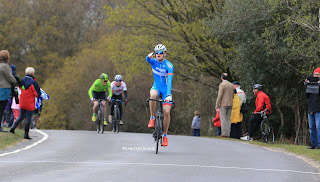 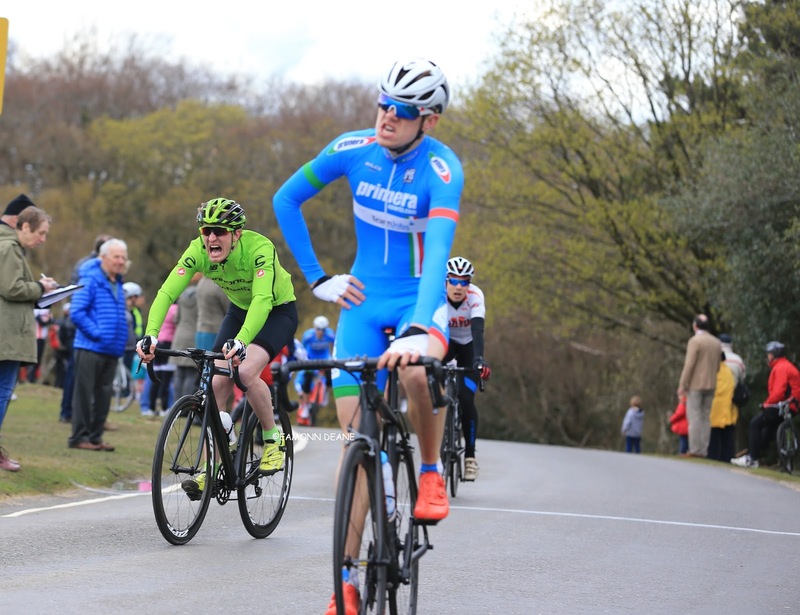 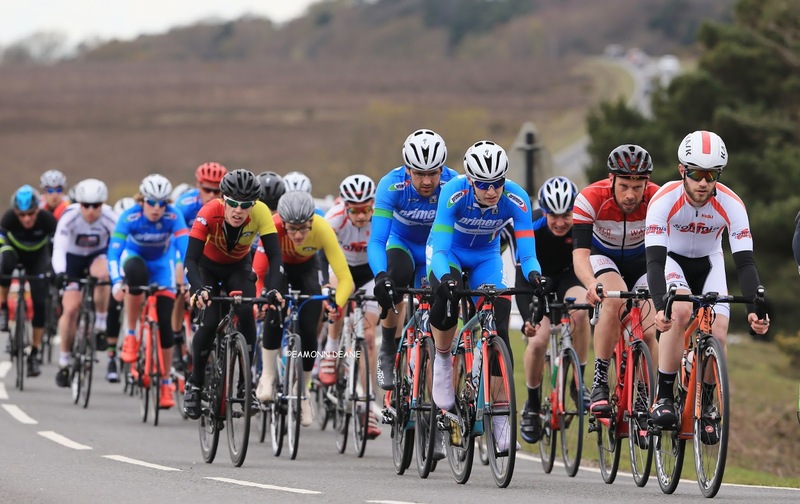 Calum Croft provided the expected win for Primera-TeamJobs at the 40 mile Sandie Radford Road Race, pulling away on Pipers Waite Hill and clearly enjoying the moment. 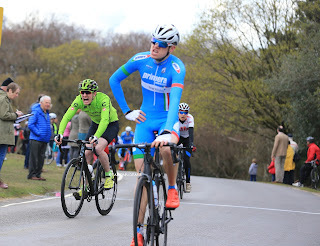 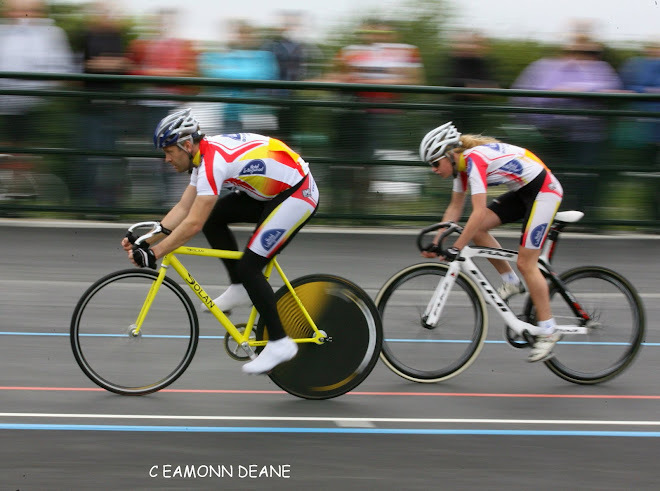 Crofts aggressive young teammate, Ed Hatfield was clear in second place, kerbing his enthusiasm till it mattered “I’m proud to say I never attacked once” the fast learning junior said later. 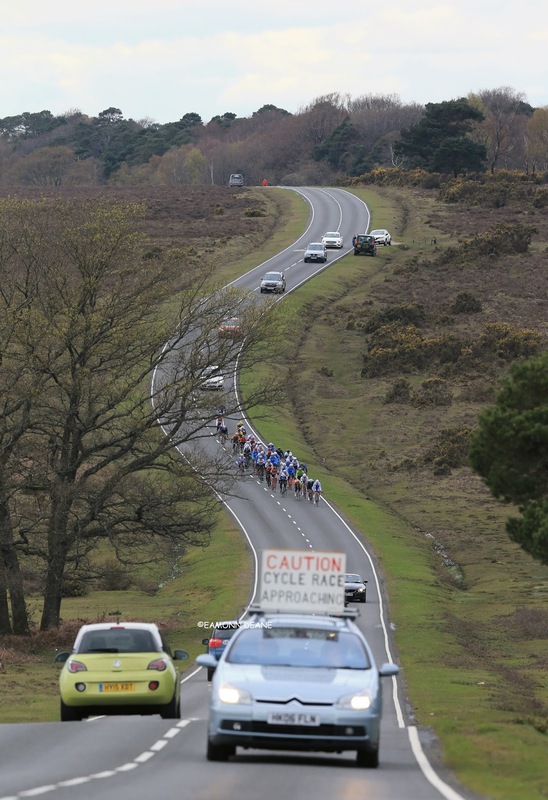 Oscar Hutchings had set the move up, stringing the bunch out on the lower slopes of the wooded climb on the edge of Nomansland in the New Forest. 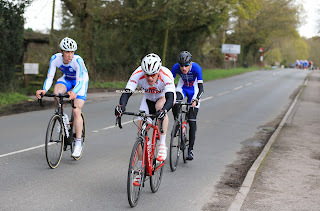 Hutchings acceleration was the springboard for Crofts success but may have cost the Primera outfit a clean sweep as the legs filled with lactate! 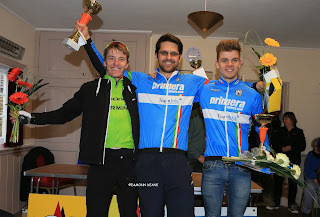 The beneficiary was former Primera rider James Horton, now back in green Cannondale colours, Horton, needed no extra motivation and was clearly “pumped” to split the boys in blue. Prior to the fireworks on the final climb the race had been all but neutralised with nobody able to escape the attention of the strong Primera-Teamjobs team and the change of course, with just one climb of Pipers, added to the procession. 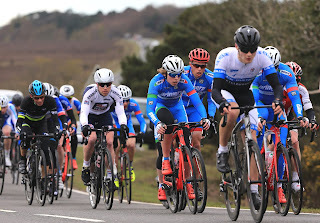 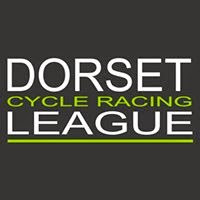 Kim Little (Merida Racing UK) & Horton had led the 60 strong bunch early on before Andy Mackay (Sotonia CC), James Hywel-Davies (Gillingham & Dist Wh) and Matthew Downie (Eden Veranda Racing) put daylight between themselves and the peloton but the race was quickly back together on the too-easy Woodfalls circuit. 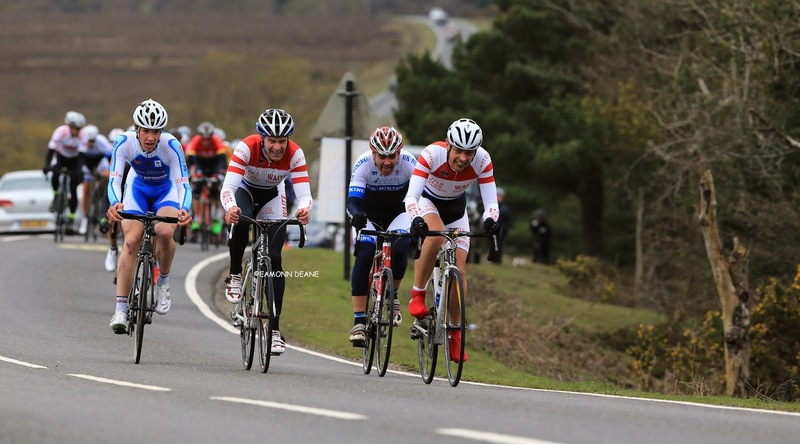 Hywel-Davies & Downie had already been away with James Peckham, Edd Slot, (Sotonia cc), Scott Michaels (Soton Uni CC) & Croft before their brief escape with Mackay. Downie looks talented and has Watts to burn, involved in every move he was off the front again with Rowan Horner, Simon Brooks (VC ST Raphael) & Steve Dring (UK-Biking-Copyright). 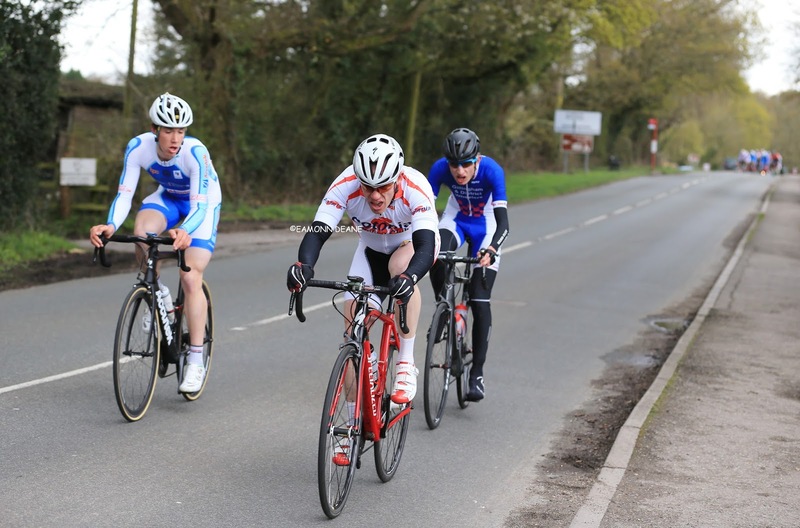 Some company of his own age would have been preferable to the considerable experience of these three gallant gentlemen and the move was snuffed out. 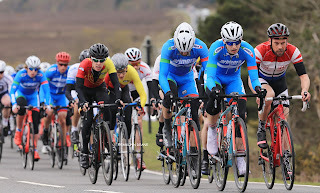 Into the final and the relative class of Hutchings and Croft brought correct order to the front of affairs, Hutchings was disappointed not to hold on but not too disappointed.